Botanicals or herbal supplements have been in use for millennia to treats various health disorders. Those who have used them such as in Ayurveda medicine will attest to the fact that they are highly effective in treating variety of health conditions. There are potential health hazards associated with most of the herbal supplements that we buy. The liberalization of the market has led to the proliferation of these supplements without proper regulation. Yet it is highly possible to know what is safe and what is not. A good starting point is at the doors of FDA. Apart from the approval, the good manufacturing practices should be followed to the letter. Quality should never be compromised under any circumstances. The FDA should be able to monitor the product and if needed, take a legal action against the manufacturer if the latter is thought to have violated safety practices in the process of manufacturing the herbal supplements. What is in a name? Well, glad you asked. The name could say so much about the supplement and its authenticity. For instance, ginkgo biloba is a supplement which happens to be a household name. If you come across some not-so-familiar names for supplements: they might as well turn out to be imitations of the genuine ones. If a manufacturer is genuine, they will share their contact information so that you can reach them in case you want to find out more about the supplement. A product that has no such details are a health risk since you will have no recourse in the event that you buy such a product with no address or name. Be very keen on the ingredients because they essentially tell you what is contained in the product. Some of these products though come with shallow or incomplete names of the ingredients. This is a tell-tale sign that you are dealing with a fake supplement. It may help a lot when you ask your doctor about use of certain supplements. Some of them are known to have contraindications. The doctor will be a in a position to know if a particular herb has any side effects or not. Unfortunately for some of us, we tend to take some of the supplements without the leave of the doctor ostensibly because we think that they do not need any prescription. 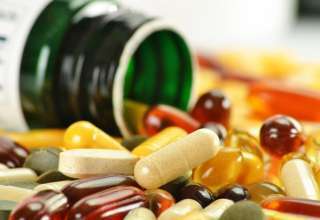 Some people’s health has worsened due to use of supplements without doctor’s leave. You are best advised to play it safe by ensuring you observed precaution when using these botanicals. Most nutrients are listed on the dietary supplement database; if not listed, this should raise a red flag in your mind. Next article Which are the best organic multivitamins?